Seafarers’ charity Apostleship of the Sea (AoS) has appointed a new port chaplain. Bryony Watson, 23, is the youngest AoS port chaplain, and joins the port chaplaincy team in Immingham. She spent four years as a volunteer ship visitor before taking on her current role. Born and brought up in Grimsby, she first came to learn about the work of AoS after a talk by Fr Colum Kelly, who leads the Immingham port chaplaincy team. “I was shocked that I knew so little about the lives of seafarers; especially as I'd lived by the sea all my life. Liverpool City Region specialist marine engine supplier James Troop & Co received a special presentation in Liverpool from the Royal Navy’s Northern England and Isle of Man commander for its outstanding work on seven Mine Hunter vessels. Commodore Gary Doyle presented an MCM1 (Mine Counter Measures squadron 1) crest and ceremonial photographs to Bob Troop, chairman and managing director of James Troop & Co, at the Royal Navy Regional Headquarters, Sefton Street, on April 14, 2016. DP World London Gateway Port has appointed James Leeson to the role of Head of Port Commercial following the announcement that Tabare Dominguez is to become Commercial Director at DP World Vancouver. Leeson started in the role this month, bringing with him more than 20 years of international experience in the shipping and ports industry. He was most recently Head of Commercial for Associated British Ports (ABP) Humber region, covering the ports of Immingham, Hull, Grimsby and Goole. CTruk said it recently cemented its support of the Motor Neurone Disease Association with a donation of £20,000 following the delivery of its second CWhisper SWATH workboat. The late naval architect Nigel Warren was heavily involved in the design of the first-in-class CWhisper SWATH, CWind Astute. Nigel fought bravely against MND but lost his battle before the vessel was launched in 2012. In dedication to Nigel, CTruk subsequently pledged £20,000 for every CWhisper SWATH sold to support the MND Association in continuing their important work. Seafarers’ charity Apostleship of the Sea (AoS) has paid tribute to its women port chaplains and ship visiting volunteers ahead of International Women’s Day 2014. AoS says women have and will continue to play a significant role within the organisation. It currently has women port chaplains in East Anglia, Plymouth and Hull, as well as many women ship visiting volunteers up and down the country. Their energy and fantastic work in helping meet seafarers’ practical and spiritual needs are an inspiration to many. 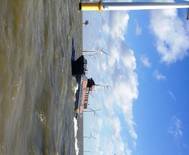 The 75th and final turbine has been installed at the Lincs Offshore Wind Farm. The installation marks a major milestone in the development of the 270MW project, which will be capable of producing enough energy to meet the annual power needs of more than 200,000 households – equivalent to two thirds of the homes in Lincolnshire, reports the Lincolnshire Echo. Construction of the project, located eight kilometres (five miles) off the coast of Skegness, started in 2010 with full commissioning expected later this year. NBGI Private Equity, investor in Aberdeen-based ATR Group, is acquiring the Aberdeen and Norway operations of Cosalt Offshore. The deal, due to complete later today, will reportedly stabilie the Cosalt business which has been through a difficult period in recent years, safeguard jobs and provide funding to capitalize on international growth opportunities. 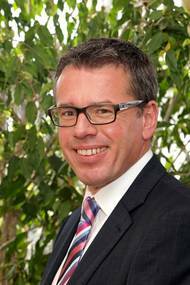 ATR chief executive, Keith Moorhouse, will lead the enlarged group. He said, “This deal will be welcomed by Cosalt’s staff, customers and suppliers as an end to a period of uncertainty. Cosalt, provider of safety equipment for the marine, industrial and offshore markets, has signed a new joint venture agreement with Danish company APRO, an engineering services business with many years experience in the wind energy market. The partnership is designed to take advantage of the major growth expected in UK offshore wind energy. Cosalt recently set up a dedicated Renewable Energy division to supply inspection and testing services plus marine safety, lifting equipment, tooling and height safety products to the renewables sector, particularly offshore wind farms. Christmas celebrations were put on the backburner as staff from incident response specialists Braemar Howells worked round the clock to prevent a potential environmental disaster off the UK coast at Falmouth, Cornwall. The bulk carrier Newcastle carrying Ferrous Sulphate en‐route from Spain, destined for a chemical company in Grimsby, got into difficulty in the Bay of Biscay when its cargo became contaminated with seawater and shifted, causing the vessel to take on a dangerous starboard list. UK Maritime & Coastguard Agency report Yarmouth Coastguard's response to recent WSV's in distress. Windcat 9 issued a VHF DSC Mayday offshore from Humber and reported that they were taking in water. Yarmouth Coastguard requested the launch of Humber and Cleethorpes RNLI lifeboats and the rescue helicopter from RAF Leconfield. Due to concern that the vessel could be sinking the 15 crew abandoned to another vessel. The rescue helicopter transferred two pumps on board the vessel and lifeboat crew were able to control the ingress of water and towed the vessel to Grimsby.